An elegant pet i.d. tag, offset with a blue rhinestone gem. 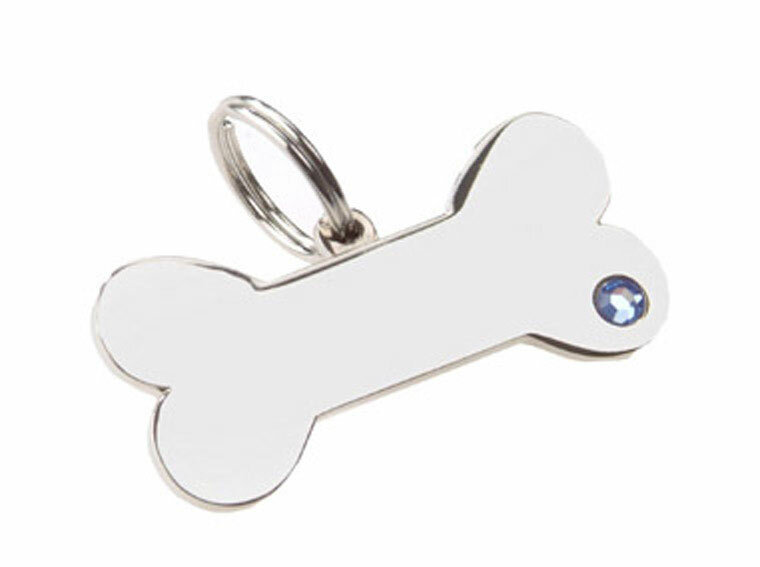 This striking tag is nickel plated with a resin outer coating for extra durability and will set your dog apart from the rest. 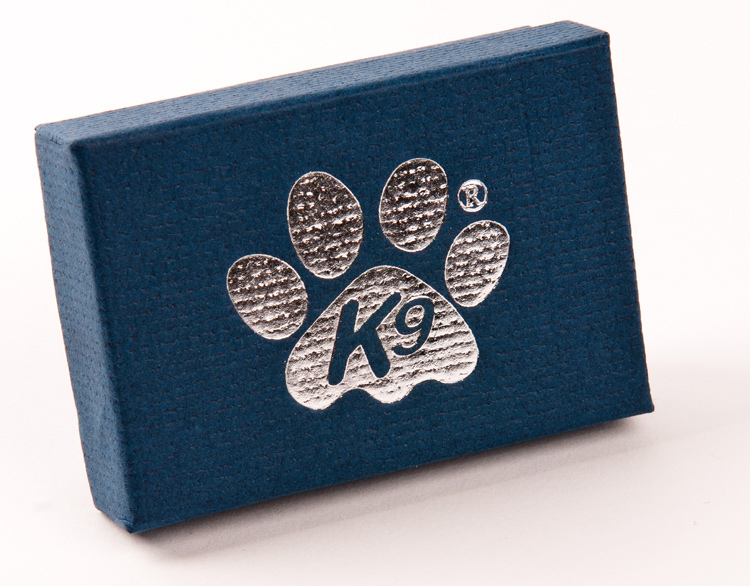 Comes with a split ring and is presented in a smart gift box with silver printed K9 logo. Size 3.8cm length end to end. Middle section height 1cm.